THE first inspection has taken place at the controversial Marie Stopes private abortion clinic in Belfast, The Detail has learnt. Marie Stopes International (MSI) has a network of centres delivering services in abortion, female sterilisation, vasectomy and health screening throughout the UK. In October 2012 it was revealed by The Detail that the organisation was opening its first clinic in Northern Ireland in Belfast city centre premises. The Regulation and Quality Improvement Authority (RQIA) has confirmed that it carried out a pre-registration inspection at the facility in June this year and this led to the clinic being officially registered with the regulator a few weeks later. The RQIA report states that the private doctor employed to carry out all of MSI’s services in Belfast had not started working at the clinic at the time of the inspection. And it remains unclear if the historic threshold has been crossed yet of abortions being carried out here by a private practitioner, as Maries Stopes itself would not say if it has provided any of its services to date, including terminations. RQIA stressed to The Detail that it does not have the power to assess the clinical decisions made by a doctor in any facility. The opening of the clinic in October saw pro-life groups rally in opposition to the move and Northern Ireland’s Attorney General, John Larkin, called for a Stormont committee investigation into the development..
Much of the public discussion centred on how the clinic would be regulated and monitored. It was finally confirmed in January of this year that Marie Stopes would have some form of regulation here when representatives told the Justice Committee it was willing to work with RQIA and “be very transparent". The clinic, based on Great Victoria Street, advertises itself as being open two days week: from 1pm to 10pm on Thursdays; and 8am to 6pm on Saturdays. In January 2013 Marie Stopes International applied for registration with RQIA. It intended to employ a doctor on a wholly private basis, which made the service subject to regulation by RQIA. Following a request from The Detail enquiring about inspection of the clinic, RQIA has confirmed that the pre-registration inspection took place on June 4 2013. A copy of the inspection report – written after a five hour visit by RQIA – has been sent to The Detail by the regulator. Pre-inspection reports are not routinely available on the regulator’s website. RQIA also confirmed separately that the clinic was formally registered on June 27 2013. This means that the centre will be formally inspected a minimum of once a year. A full inspection will also be carried out before the end of this year. A spokesperson from Marie Stopes said: “MSI Northern Ireland has voluntarily registered with the RQIA and we are pleased to be monitored by them and equally pleased to be fully compliant with their quality standards. “We pro-actively sought registration as part of our commitment to the people of Northern Ireland who come to us because they trust us and know that we will give them discrete, high quality family planning and sexual health services." The pre-registration report from June noted that the management of medicines was in accordance with legislative requirements, professional standards and DHSSPS guidance. It also highlighted that there was evidence that “appropriate systems and processes were in place for the management of records and maintaining patient confidentiality”. The Quality Improvement Plan highlighted a number minor requirements for the clinic to amend before registration could be completed. This included issues such as making updated copies of complaints procedures available in client information folders and ordering wall brackets ordered to mount bins for sharp objects. 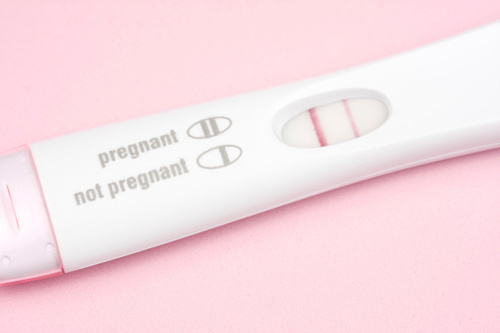 The law relating to termination of pregnancy in Northern Ireland is different from that in England, Wales and Scotland and is much more restrictive. Abortions can only be carried out in Northern Ireland where continuing with the pregnancy would threaten the life of the woman or would have a serious permanent or long-term effect on her physical or mental health. The latest government statistics for 2012 show that 905 women from Northern Ireland travelled to England or Wales for abortions in 2012. Sixteen were aged under 16 and 131 had had previous abortions. Marie Stopes International has previously said it will carry out medical – not surgical – procedures up to nine weeks gestation in Northern Ireland and only within the existing legal framework here. "We've had enough sympathy, now we want action"